Despite rumors to the contrary, Microsoft did not unveil an Xbox console with HD DVD capabilities built-in at CES, and has no plans to do so in the future, according to an executive in Microsoft's entertainment business. 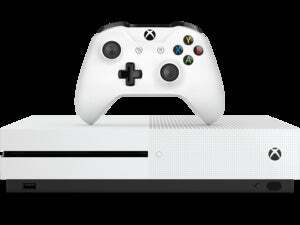 "Absolutely not," said Jeff Bell, corporate vice president of global marketing for interactive entertainment at Microsoft, when asked Monday if an HD DVD Xbox was in the works. Microsoft has been pushing HD DVD over Blu-ray as the format for high-definition video, but HD DVD suffered a significant setback last week when Warner Bros. said it would drop support for the format in favor of Blu-ray. Monday during an interview at CES in Las Vegas, Bell said Microsoft is taking a more agnostic view on how to serve up HD video. He said that it's up to consumers to make a choice between the two formats, not vendors. "We'll let the market decide how they're most interested in consuming entertainment," he said. Giving customers choice of hardware platforms by licensing its software to partners has certainly served well in its enterprise and business segments over the years. With Xbox, Microsoft has had a more direct line to consumers, but the company has still leveraged partnerships, such as new ones it announced Sunday with entertainment companies like MGM and ABC to serve up premium video content to consoles via the Xbox Live service. Next to Windows and Office, Xbox is poised to be one of Microsoft's most successful consumer products ever, although the product is not yet profitable. Bell confirmed that the Xbox business, as well as the division that oversees it, Entertainment and Devices, would be profitable by the end of its 2008 fiscal year on June 30, a previously stated goal of Microsoft's. At CES, Microsoft made sure to reveal some recent milestones for its Xbox business. Xbox console attach rates, or numbers that refer to the amount of merchandise sold that's connected to the console, are an especially important metric the company is tracking. According to Microsoft, the company sells about seven games for every console, a number that is higher than both its competitors, Nintendo's Wii console and Sony's Playstation 3 (PS3). Bell also cited November 2007 figures from market research firm NPD, which claim that for the year, Xbox generated more than US$3.5 billion at retail, $1 billion more than the Wii and $2 billion more than Sony's PS3. Microsoft's Xbox Live service is certainly a big reason the console is doing so well, and the company is using it as a launch pad for getting video content into the home. This strategy could put Microsoft in competition with set-top box makers that work with service providers to deliver Microsoft's Mediaroom IPTV service into homes. Bell said Microsoft would rather view its strategy to use both the Xbox Live and Mediaroom as entertainment-delivery platforms as covering all its bases rather than competing with partners, or even each other. "We're very committed to this concept of choice," he said. We learned from our first generation of Xbox -- if you impose too much content on consumers, it's not a winning strategy."